When straight-arrow detective Jason Scarsdale unwittingly befriends a woman secretly bent on murderous revenge, he's drawn into a web of malice that teaches him the value of breaking the rules. Scarsdale, a recent widower, struggles to put his life back together while raising a young daughter. Assigned to investigate the death of a man he had arrested, Scarsdale uncovers new evidence indicating the man was innocent. But his investigation is hindered by a crooked police commander who aids the real killer and by a crime analyst who witnessed the slaying, yet conceals her involvement to hide a life-threatening secret. Just when Scarsdale thought things couldn't get any worse, the killer abducts his daughter and the analyst is kidnapped by a man from her past. I've done a lot of writing in my life both as an attorney and as a police officer. Now I wanted to try writing crime fiction. 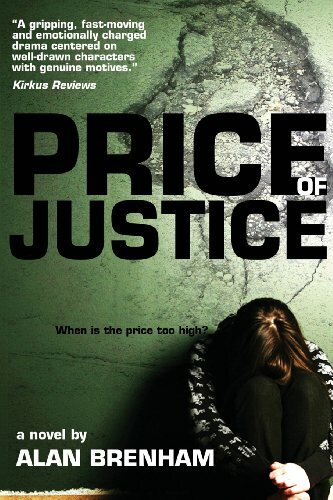 It turned out to be a very rewarding experience, teaching me a lot about about writing mysteries and thrillers in general.The finished product was Price of Justice. It's a good solid mystery /police procedural novel that tells two stories: one, written in 3rd person POV, follows a grieving Austin police detective working within the framework of the law to stop pedophiles, and the other, written in 1st person POV, about a police crime analyst/mother out for vengeance against the same pedophiles. The book deals with their mutual attraction and how each changes the other. It also asks the question whether taking justice into your own hands is ever justified. I tried to keep the book an interesting and easy read by including some memorable and likeable characters, and some not so likeable. This detective thriller was great fun to write. Lots of suspense. When I let the characters tell the story, instead of forcing it, I was pleasantly surprised at how it ended. It's a good suspenseful mystery filled with some interesting themes. I hope you will give Price of Justice a look.